A real surprise, and definitely worth doing. I wasn’t sure what to expect, especially as it was cloudy and rainy yesterday but the views were fabulous. The building was built in the 1930s and is very art deco. It looks a bit like some of the buildings you see in New York, like the Waldorf Astoria and the Empire State. The interior has been kept in period style. 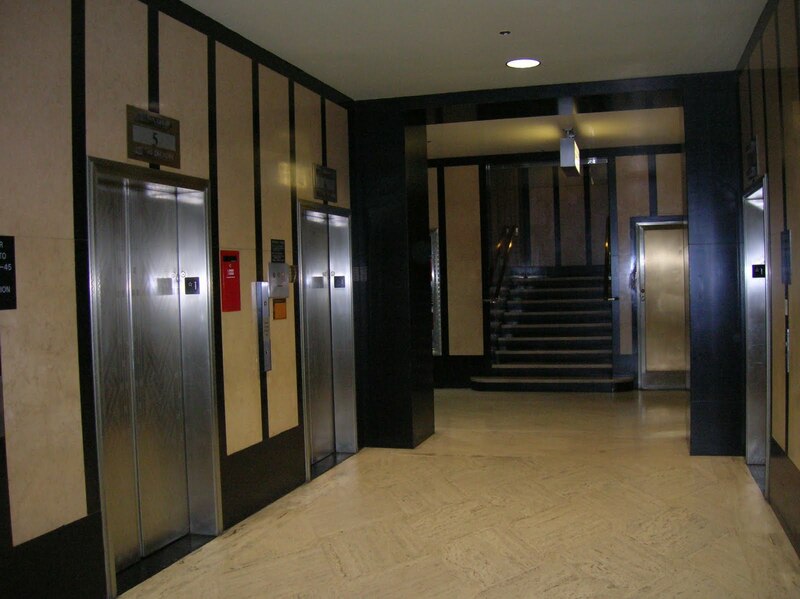 Even the lift area on the ground floor is fancy. 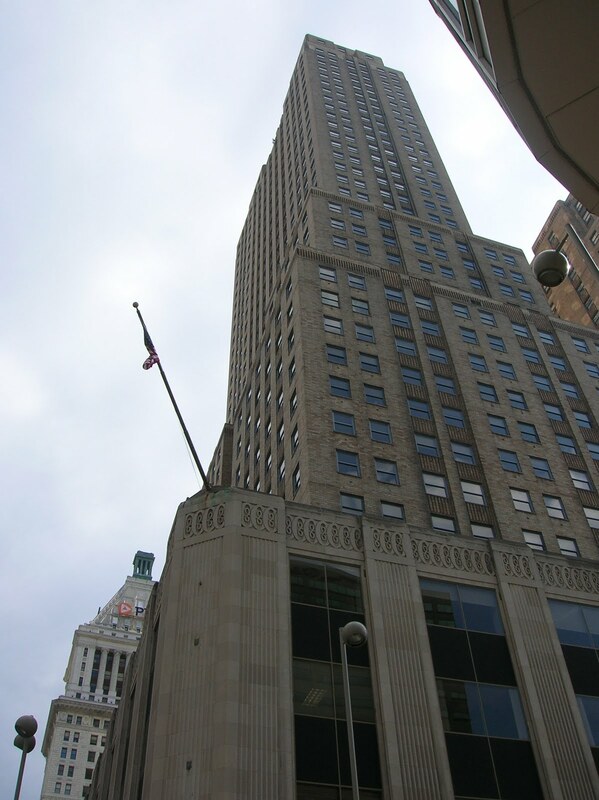 To get up to the observation deck, you take one lift to the 45th floor, then another smaller lift up to the 48th floor, then stairs up to the 49th and you’re on the roof. 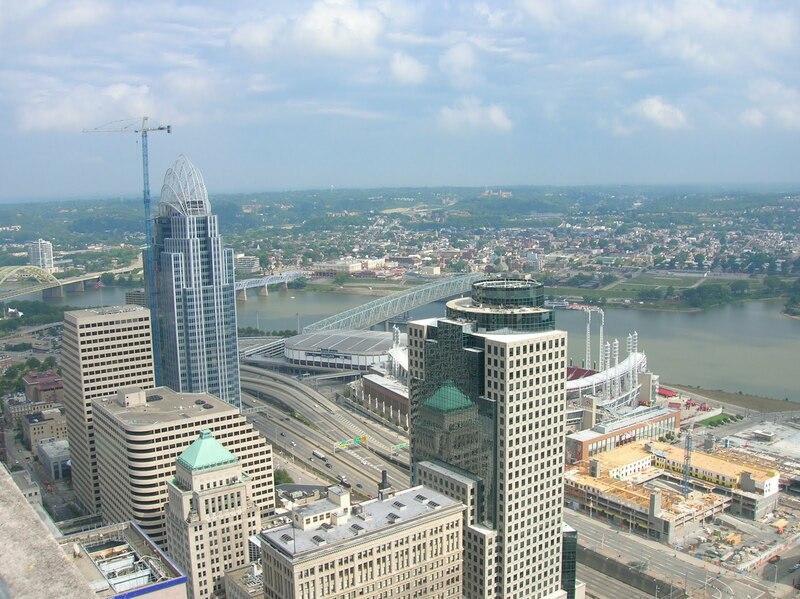 You can see right across to Kentucky and all of Cincinnati and a considerable amount of the surrounding area.